College Exam Tutor had a very specific vision for their logo design: It must incorporate a graduation cap. CET couldn’t of been happier with our logo design and custom font choice. 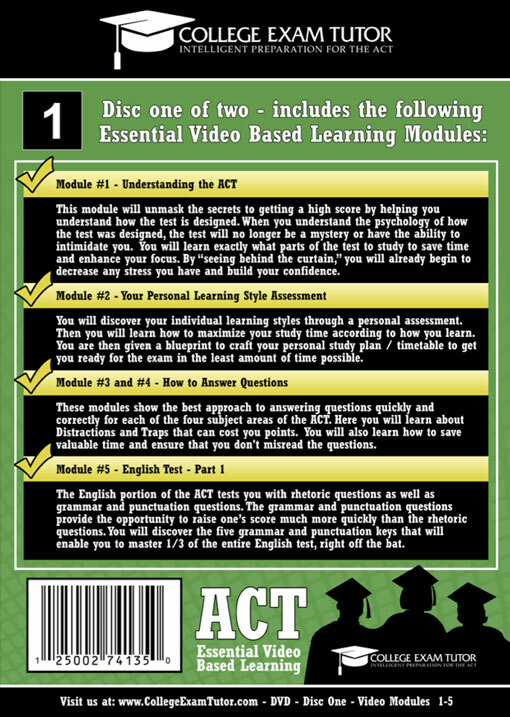 College Exam Tutor helps students prepare for the ACT and for the transition to College in the form of online training and DVDs / study guides. 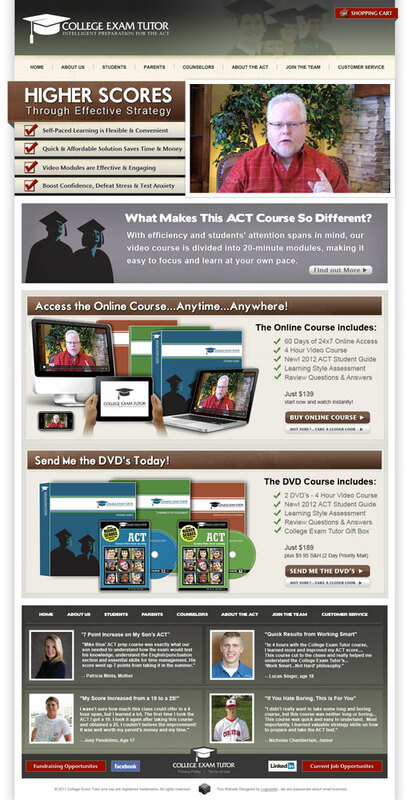 Our client needed a video-based ecommerce website with an effective online presence that showcased their educational expertise while targeting high school students and parents across the country as they prepare for the ACT College Admissions Test. 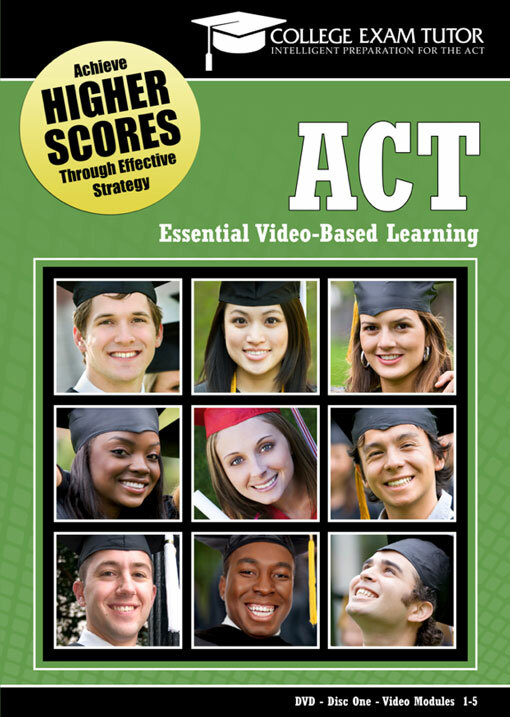 The requirement was to design a website, coupled with marketing material, that effectively communicated to potential buyers while showcasing College Exam Tutor’s video-based online ACT prep course. The web design needed to look vibrant and professional, while maintaining a friendly, intelligent and personalized look and feel that wasn’t too corporate. The bottom line… Through effective ecommerce website design, potential buyers needed to feel confident enough to purchase products with immediate confidence. We helped College Exam Tutor convert visitors into buyers.